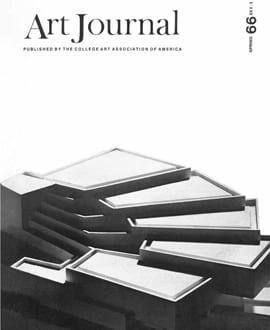 This is the second essay the College Art Association has published entitled “Art Journal at Fifty.” The first, by CAA president Ruth Weisberg, was published in the magazine in the winter of 1991. The present essay is partly about how Art Journal came to have two fiftieth anniversaries, since neither of the titles is wrong—nor exactly right. Weisberg begins counting from 1941 with the founding of College Art Journal; I begin, at least in my title, in late 1960, when the word College is finally dropped; there is even a good case for beginning with 1929. 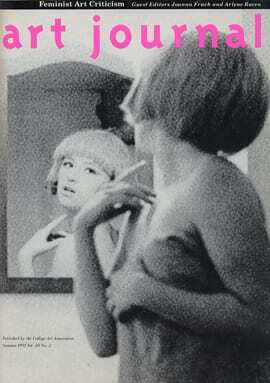 An interesting history, I hope, lies in Art Journal’s multiple beginnings and refashionings. To tell that story, let me begin with yet a third fiftieth-anniversary essay, one written by the eminent medieval art historian and chairman emeritus of The Art Bulletin’s editorial committee in the spring of 1964: Milliard Meiss’s “The Art Bulletin at Fifty.” Meiss celebrated not just the golden anniversary of what was, by then, “one of the oldest journals in the history of art in the world,” and a “solid” and successful one, but also its financial security: the first third of the essay is devoted to a gift of $150,000 over five years from the Samuel H. Kress Foundation. Indeed, for an art historian who wrote movingly on Florentine art in the time of the Black Death, the essay is rather flatfootedly nuts and bolts; another third is devoted to the editorial structure of The Art Bulletin and a narrative history of the make-up of its editorial board and of its rotating editors. Meiss’s essay was published in the March 1964 Art Bulletin, for obvious reasons, but it appeared in the Spring number of Art Journal, as well. As Meiss described the origin and the mission of the younger magazine, that was where the anniversary essay belonged. “During the first years after its appearance in 1913 the Art Bulletin served as an indispensible house organ for the newest branch of the humanities then beginning to grow against heavy resistance in our colleges and universities. Like a good cookbook, it was full of recipes for courses, most of them novel, to be offered to unsuspecting undergraduates, and for books to be placed in college libraries. This important function of the bulletin of the College Art Association (note the terminology) was later assumed by Parnassus and then, beginning in 1941, at a much more sophisticated and often theoretical level by the Bulletin’s companion, the Art Journal.”1 Insofar as it was now the real bulletin of CAA, its newsletter, Art Journal is where news of the Kress and discussions of the association’s internal affairs belonged. The competing journal Panofsky refers to is not College Art Journal or its predecessor, Parnassus—the “companions” Meiss cites—but a journal of art history “edited by members of the departments of the Fine Arts at Harvard and Princeton universities,” an editorial tagline that suggests (even as it escapes) the complex divisions that have characterized the College Art Association from the beginning. The association’s divisions are both disciplinary and geographical—not only the still-obvious division between art history and art practice, but also the historical differences of class and geography that structured the American university between Ivy League schools and the eastern liberal-arts colleges and research universities established in their image on the one hand, and the state and land-grant colleges of the Midwest, South, and West on the other. In Art Studies and certainly in The Art Bulletin, art history as an autonomous discipline is secured in the image of a journal about nothing else, a journal that gains its identity by abjecting the other, banishing not only material practice—“practical art instruction”—but also any discussion of the pragmatics of art and art history in the classroom. Among the things Panofsky is rather scathing about, as he patiently explains what he knows to the American readers of College Art Journal, are the “departmental system” (as opposed to the German “chair system”) and the American classroom, with its students “tested and graded without cease” and its young instructors and assistant professors “burdened with an excessive ‘teaching load’—a disgusting expression which in itself is a telling symptom . . .”4 The Art Bulletin in Panofsky’s presentation belongs to the discipline, constitutes it and polices its borders; Art Journal and the predecessors Meiss mentions, and to which I will return, belong to the department (the worldly bureaucratic manifestation of the idealist discipline) and to the classroom. Art Journal—like its predecessors—has been and in some sense still is a compromise: a compromise for, if not between, the major tensions within CAA itself, between studio practitioners and art historians and art educators. 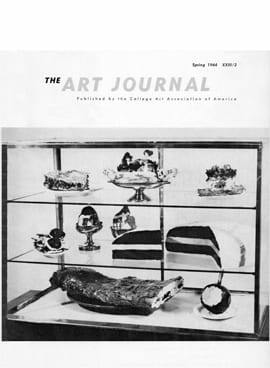 The Spring 1964 issue of Art Journal, the issue in which Meiss’s birthday essay appears, contains a number of articles on modern and even contemporary topics, although in an odd sense it is not engaged with them, as though they were being written about from a distance—that distance we characterize, for better or worse, as academic: Edward T. Kelly of Marymount College in Tarrytown-on-Hudson offers a critique of Pop art, Alfred Werner rediscovers Max Liebermann, and Carl Belz writes on Man Ray and New York Dada. This is in a sense what Art Journal would become, a journal of nineteenth- and twentieth-century art, though only in the last decade has it declared itself to be one, in an editorial statement that first appeared on the masthead without fanfare in 2003. Following those articles and another, by J. P. Hodin, on “on the problematic nature of Jewish art”5 come the “College Museum Notes,” noting new acquisitions, recent exhibitions, and personnel changes; program notes for CAA’s annual conference; and “College Art News” of new programs and new buildings and new hires. On the second-last page, following a long brace of book reviews and a list of books received, there is an ad for CAA touting, among the perks of membership: “The Art Bulletin (in its 46th vol.). An illustrated quarterly devoted to scholarly articles on all periods of the history of art,” and “The Art Journal (in its 23rd vol.). An illustrated quarterly dealing primarily with problems of teaching art; contains articles on fundamental questions in education and is a forum for open discussion, news of the art world, etc.” It is all there, perhaps, in the difference between “devoted to” and “dealing with” and the “etc.” at the end. Much is held in that “etc.,” and I will return to it, but let me turn for the moment to Meiss’s brief prehistory, to Parnassus, which published from 1929 until 1941, and was in many ways not the cookbook the early Art Bulletin had been or was accused of being.6 At least early on, it had a quite specific mission: it was, according to a membership solicitation in its inaugural issue in January 1929, “a quarterly of news and topical value devoted largely to art activities in Europe and edited by authorities in the field.” Through the first few years, it featured letters from editors in Rome, Berlin, London, Austria, the Soviet Union, and Spain, and abstracts from recent international periodicals—Belvedere, The Burlington Magazine, Pantheon, Pinacotheca, La Rivista d’Arte—and only a handful, if that, of articles devoted to the college campus or to anything outside the campus museum. Despite the focus on Europe, and to a certain extent written within that focus, Parnassus was a very local magazine; its view was that from CAA’s offices on Washington Square. It ran auction results, a New York exhibitions calendar, and a review of “art activities” in New York in its second number. 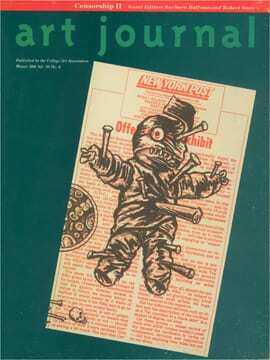 Ten issues later, when it began to survey art activities nationally, its title was telling: the May 1930 issue featured both “A Perspective View of the New York Season,” by Audrey McMahon, and “A Cursive Review of Recent Museum Activities and Exhibitions outside New York,” by Irene Weir. 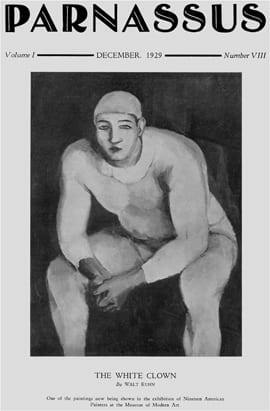 In March 1937 Parnassus published Watson’s “Realism Undefeated,” a review of sorts of the new Whitney Museum’s exhibition New York Realists. But it was also, quite clearly, a manifesto designed to build a specifically American history of realism and an American bent toward it—and against Europe, or at least European art as it had arrived on these shores, drawn by the “countless thousands of American dollars [that] have pursued French Salon pictures, English portraits, and ancient arts from every land . . .” Despite the pictures that fill our collections, despite the “Modern Museum’s attempt to revive Dadaism” (a nod to the Museum of Modern Art’s Fantastic Art, Dada, and Surrealism” which ran through January 1937), and, indeed, despite Parnassus’s earlier focus on Europe, Watson insists that Americans “have kept firmly grasped in our right hand a palm for realism. However we may waver in the strong breezes of the market place, it is on the brows of the realist that we place our palms of victory.”12 It is certainly where Parnassus placed its crown. 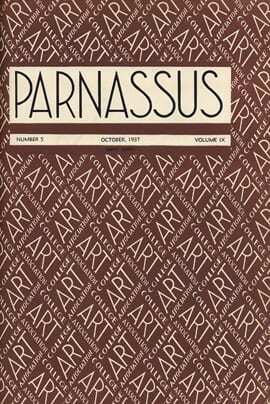 In the mid-1930s, the cover of Parnassus had, at least briefly, born the banner “A Magazine of the Arts of All Centuries”; by the end of the decade it had become increasingly engaged in a specifically American contemporary art, and in October 1939 the editors announced “a series of twenty monographic articles on contemporary American artists.” “A poll of the entire country will be taken to determine the choice of artists.” The series didn’t, in the end, reach twenty, but those Parnassus did profile over the next year could easily have been assembled from the Whitney’s collections: Julian Levi, Richmond Barthe, Aaron Bohrod, Henry Varnum Poor, Fletcher Martin, Karl Zerbe, and Hobson Pittman. They were all realists and all regionalists. The context for Fletcher Martin, the sixth of Parnassus’s contemporary American artists, was significantly different, and it marked the emergence of what the editor termed “The New Parnassus.” Lester Longman, a Princeton-trained art historian and the head of the art department at the University of Iowa, would be one of the strongest voices in the 1940s and 1950s for educating artists in the university and for the MFA degree, and that project certainly informed his vision of the new magazine. “No longer a heterogeneous series of papers on various phases of art history, Parnassus will henceforth endeavor to become an educational magazine fighting for good art, good scholarship, and good teaching. It will present short articles on live issues . . . timely and controversial problems in art history and criticism, and on esthetics and art theory. 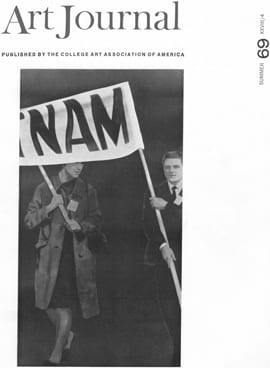 There will be short articles on modern art movements and contemporary artists, on art education (with special reference to colleges, universities, and art schools), on college art departments, and on exceptionally talented art students.”15 It is this last list that characterized Longman’s first issue. Martin shared the issue with profiles of the art department at the University of Chicago and Don Anderson, a “talented art student” from the University of Iowa, and with a broader essay by Stephen C. Pepper of the University of California at Berkeley, laying out a program for studio art in the university, illustrated with work by students of Erle Loran, Worth Ryder, and others. Longman sought to differentiate his Parnassus from its earlier incarnation and, in a second editorial, worked to separate the art he would champion not only—and again—from European modernism, but also from the version of “American scene” painting that Watson and McMahon had championed. While we “are fast leaving behind the style of the first third of the twentieth century”—that is, the “radical” abstraction of the European avant-garde—the real “danger ahead for American art” is the “‘sanity in art’ movements [that] are more harmful now than any insanity movements of which the last generation may have been guilty,” that, indeed, amount to propaganda and the “principles of Berlin, disguised as native American.” The problem is “illustration . . . —sentimental, popular, photographic, propagandistic drivel, glorifying sunsets, forests, naked Aryans, big families, popular heroes, homely scenes, and anything else but genuine esthetic values,” and Longman singles out Thomas Hart Benton, a painter “who has long capitalized on the trend to subject appeal,” decrying not so much his painting (which “has improved”), as his apologists, his “trumpeters.”16 Whatever aesthetic or political distance Longman intends to open up between his Parnassus and the older one, the artists he embraces in the editorial’s closing paragraph, Bohrod and Alexander Brook, fall well within the juste milieu of the earlier Parnassus. That issue featured another, rather different attempt to upset CAA’s academic hierarchy and unseat art history: a roundtable in print entitled “Why Give a Ph.D. in Creative Art?” comprising a statement by Ralph Fanning of Ohio State and short responses by Pepper of the University of California at Berkeley and Millard Sheets from Pomona, and, in the following issue, Norman Rice from the School of the Art Institute of Chicago and G. Haydn Huntley from the University of Chicago.19 Despite the fact that most of these educators wrote against the PhD, the presence of their discussion along with Longman’s critique of art history and his focus on the teaching of art in the college and university clearly positioned Parnassus as The Art Bulletin’s opposite—and clearly reflected the divisions within CAA. By the early 1940s, The Art Bulletin was an explicitly peer-reviewed journal and had become even more insistently professional; Longman’s equation seems to have been that if The Art Bulletin was art history’s dominant journal, then Parnassus should consciously assume the role of studio art’s magazine—or at least a journal geared to the teaching of studio art. 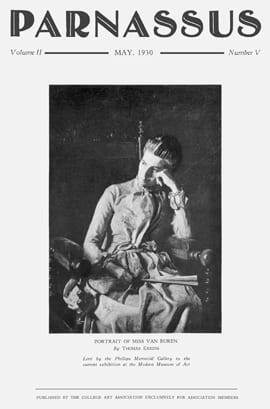 Teaching and the subject of teaching art history disappeared from the pages of The Art Bulletin early on; they would appear on occasion in Parnassus and College Art Journal going forward, in early discussions of the use of color slides, for example, and later in discussions of the survey. 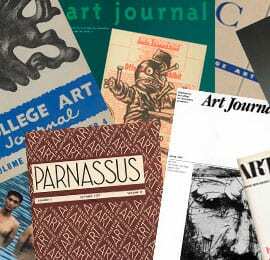 The most obvious differences between College Art Journal and Longman’s Parnassus were physical: Parnassus began life in 1929 with a cut size of eleven by eight inches, but from 1934 until its demise it ran a bit larger, and always on coated stock. Fitting for its role as CAA’s newsletter, College Art Journal debuted at eight and a quarter by five and a quarter inches and was printed on inexpensive, uncoated paper. In contrast to the ads that ran in Parnassus—from the artists’ supplier Grumbacher and such galleries as Duveen, Wildenstein, and Knoedler (indeed, Duveen continued to advertise to the end despite Schapiro’s suggestion that Parnassus was no longer a “dealer’s organ”)—there were no ads in the new College Art Journal and, until 1945, no illustrations of any sort. When advertisements reappear in 1946, they are ads not for dealers, but for other art magazines—The Art Digest, Art Quarterly, Artibus Asiae—and book publishers; illustrations return that same year, first as line reproductions of graphic works by artists such as Henri Matisse, Paul Klee, Henry Moore, Oskar Kokoschka, and Max Beckmann. Halftone illustrations accompanying articles begin to appear regularly only after 1952. Parnassus featured black-and-white cover photographs through 1935, and color covers sans images afterward. 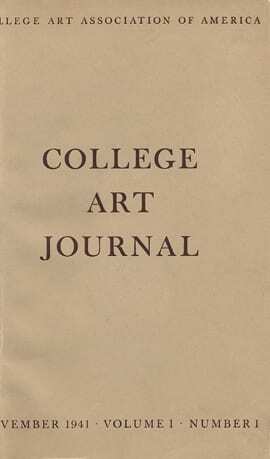 Again, College Art Journal was far more modest: throughout the 1940s, its covers bore only the journal’s name, in capital letters in simple serif type at the beginning, then in lower case in a somewhat heavier, rounder type. A few modest attempts at design and brand identity premiered in the 1940s and early 1950s: the first, which appeared on the magazine’s cover in May 1946, and on the inside through 1949, was something of a printer’s chop or dingbat that combined the magazine’s initials, turning the C and the curved end of the J into tight spirals. 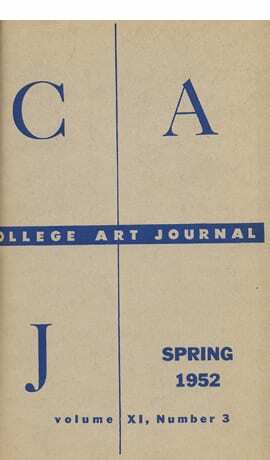 While the first design pushed College Art Journal’s initials together, the second, which appeared from Winter 1951–52 through Spring 1954, separated them into the far corners of the page. Two lines, a thin vertical and a thicker horizontal one, form a cross that segments the cover surface into four areas; each letter, in thin serif type, is isolated in its own quadrant. The fourth area bears the issue number and date. 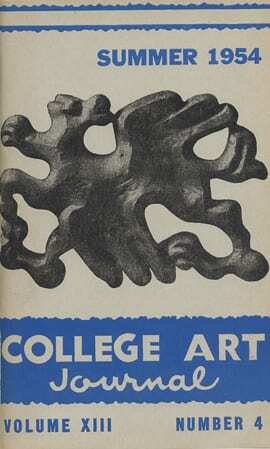 College Art Journal’s first cover image appears in Summer 1954, with a half-tone photograph of a work by the sculptor Jacques Lipchitz, but the next issue returned to the segmented cover. Cover images, first line art (a burst by Adolph Gottlieb) and then halftones (of a drawing by David Smith), begin to appear regularly in Winter 1955. Still, most of the sustained discussion in CAJ in the 1940s and well into the 1950s concerned the place(s) of art on the university campus; not the profiles of specific classrooms and departments featured in the old Parnassus, but essays on how art—both history and practice—might fit within the scope and the goals of the broader university. 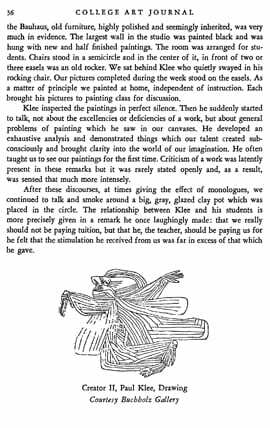 In March 1944, the magazine published a committee “Statement on the Place of the History of Art in the Liberal Arts Curriculum,” followed in November of that year by a second committee “Statement on the Practice of Art Courses.”32 In 1946 a third committee weighed in on “The Practice of Art in a Liberal Education”; the question of how or whether art—particularly studio-art practice—fits within a broad liberal-arts or “general” education was a topic of continuing interest, not just for CAA committees but for any number of individual authors. 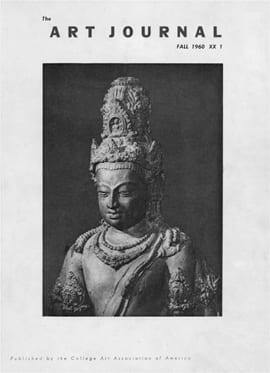 The college classroom and the educational museum framed in one way or another almost all of the discussions in College Art Journal, and when in fall 1960 the journal dropped “college” from its title, to “more appropriately indicate the scope of this publication,” the first cover, of a Thai bronze of the Bodhisattva, accompanied an article on Thai art in American college museums. An editorial note observed, “American universities and museums have shown increasing interest in Oriental Art, especially since the war. Now we are to see for the first time a major exhibition of the Art of Thailand,” an exhibition organized by Indiana University.37 (From the time images first appeared on CAJ’s cover in 1955 well into the 1960s, many covers, perhaps even a majority, featured non-Western art, often in conjunction with articles on or notices from college and university museums. Images from these institutions also comprise a third class of covers: drawings and plans for the new campus art centers and galleries that spring up throughout the 1950s.) 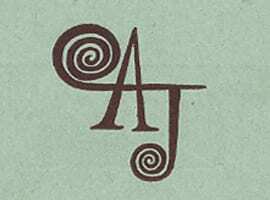 The brief editor’s note on the journal’s name change also highlighted another change: Art Journal’s larger size, which it described as “more flexible, attractive, and economical.” There was no discussion of content, and in many ways that editorial silence—and the magazine’s relatively mixed and pragmatic approach—did not change. In addition to the note on the Arts of Thailand exhibition, the issue featured essays on art in the Roosevelt era, on Baroque painting in Germany and Austria, on John Dewey’s materialism, and on courses in art at the Air Force Academy. Art Journal’s first editorial statement doesn’t come until 1980, long after the 1973 retirement of Henry Hope and the arrival of Diane Kelder as the magazine’s first new editor since the 1940s. Hope, like Parnassus’s Longman, was an Ivy League–trained art historian in charge of one of the Big Ten fine arts departments central to the proliferation of the MFA in the1950s; he was chair of fine arts at Indiana University from 1941 to 1967 and editor of Art Journal from 1944 to 1973. One of Kelder’s missions, after so many years of the journal under the same hand, was “to have the journal concentrate more specifically on nineteenth- and twentieth-century art.”38 While her first issue, Fall 1973, contained no statement of the journal’s new direction, her attempts to give it a greater concentration on the modern period was indeed suggested by the table of contents. 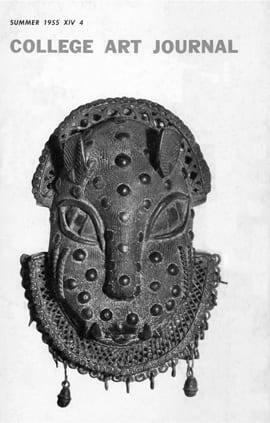 The issue included essays on Thomas Anshutz, Beckmann, and Max Ernst, and two essays on tribal arts, on Baule figure sculpture and Sepik sculpture from New Guinea. Her editorial mandate would become even clearer over subsequent issues in the 1970s, as would the sense of Art Journal as an academic journal rather than a bulletin, with the creation of CAA Newsletter in 1976, and the departure of at least some of the journal’s “news and notes.” Her Art Journal also increasingly recorded the social and cultural transformations of the decade as they affected art and art history, in issues devoted to artists’ rights—with articles on the “National Art Workers’ Community” and “The Role of the Artist in Today’s Society” (a roundtable that featured Carl Andre, Hans Haacke, John Perreault, and Cindy Nemser)—and feminist art history—with contributions by Lucy Lippard, Mary Garrard, Josephine Withers, and others. 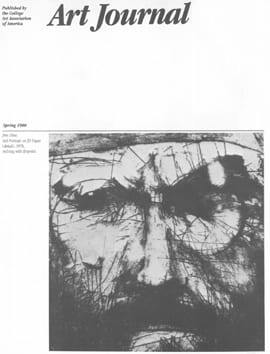 Art Journal’s first “statement of purpose” appeared some twenty years after its name, in Spring 1980. The journal, with new type and design by Dean Morris and the Cooper Union Center for Design and Typography, was to be “a journal of ideas and opinions,” focusing “on critical and aesthetic issues in the visual arts of our time.”39 In many ways this is the mission to which Art Journal continues to aspire. The crux of the short statement, though, was not so much a question of mission as of format: the new Art Journal would be thematic, with each issue devoted to a single topic and edited by a guest editor chosen, for the next decade, by a small editorial board that initially included Anne Coffin Hanson, Ellen Lanyon, George Sadek, and Irving Sandler—a board significantly closer to contemporary issues in art and art history than the journal’s earlier editors had been. The first theme issue, edited by Donald Saff, an artist and printmaker with the workshop Graphicstudio, was devoted to printmaking as a collaborative art, with contributions by Jim Dine, Garo Antresian of Tamarind, and Kathan Brown of Crown Point Press. Subsequent theme issues in the 1980s were somewhat less engaged with questions specific to studio practice, but contemporary art practice was addressed in issues devoted to artists’ writings (with contributions by Daniel Buren, Iain Baxter, Howardena Pindell, Lawrence Weiner, and others), performance, and video. Most of the issues engaged with questions of theory and method raised by the “new art history” and its—and the social history of art’s—focus on nineteenth-century art and the early twentieth-century avant-gardes. Issues were devoted to Manet, Cubism, Futurism, and the Russian avant-garde—with, among other things, a testy response from Donald Judd: “It bothers me that this interest [in Russian art] is so late, too late to allow them to do a lot rather than a little, and late because they are dead. . . . In the thirty-sixth year of the American Empire, the public is not so different from the Russian public that ignored those artists.”40 Linda Nochlin guest-edited an issue entitled “The Political Unconscious in Nineteenth-Century Art,” and Patricia Mainardi followed with one on “Nineteenth-Century French Art Institutions.” An issue guest-edited by Alan Trachtenberg, focusing on photography’s challenges to criticism and art history, featured Allan Sekula’s now-canonical “The Traffic in Photographs,” and Henri Zerner’s issue, “The Crisis in the Discipline,” addressed both the intellectual and institutional roots of art history (Joan Hart) and its current intellectual, philosophical, and ideological pitfalls (essays by David Summers, O. K. Werckmeister, and Donald Preziosi). Selecting issue editors from member proposals, rounding up texts, and producing four guest-edited Art Journals a year was not easy: deadlines were missed, quality varied, and there were no issues published at all in 1986. 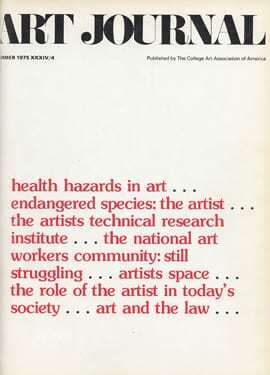 In 1989, in response to these problems and to a report on CAA’s publications prepared by Susan Rossen, executive director of publications at the Art Institute of Chicago, CAA appointed its first publications manager, Virginia Wageman, and Art Journal was given an executive editor to work with the editorial board and individual issue guest editors.41 Lenore Malen, Art Journal’s first executive editor, was also its first and, thus far, only artist editor. 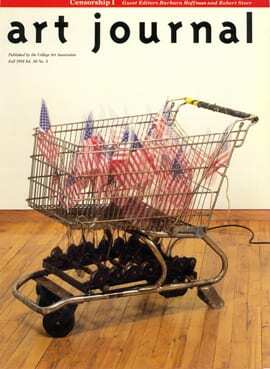 A New York–based artist working in a variety of media, an independent curator, and a writer whose work had appeared in Arts Magazine, Art in America, and Artnews, Malen, with the editorial board, reintroduced artists’ writings as a regular feature of the magazine; in the first year, the artist and writer Buzz Spector served as “Artists’ Writings Editor.” In 1992, the “Artists’ Writings” section was renamed “Artist’s Pages,” and its mission expanded to include original works created especially for the magazine. Among the artists to write or make new work for Art Journal during Malen’s tenure were Agnes Denes, Rackstraw Downes, Jimmy Durham, Mary Kelly, Joseph Kosuth, James Luna, Kay Rosen, and Mierle Laderman Ukeles. The editors noted the journal’s new design (which remains in most respects its current one) and announced the end of “strictly theme-based” and guest-edited issues. While subsequent issues were not themed throughout, the editorial voice has been strong over the past decade: Janet A. Kaplan, Art Journal’s executive editor at the time, and her successors—Patricia C. Phillips, Judith F. Rodenbeck, and now Katy Siegel—have featured thematic sections, or have paired and grouped essays; at their most effective, they curated a dialogue among the constituents the 1998 editorial statement lays out: “artists, art historians, and other writers in the arts.” That statement also worked to resituate Art Journal among other journals, asserting for the first time in print its scholarly commitment to peer review, and at the same time imagining its operating space as slightly outside the enclosures of academic publishing, as “between commercial publishing, academic presses, and artist presses.” The 1998 statement, crafted by an editorial board that included Alexandra Anderson-Spivy, Carol Becker, Michael Brenson, Johanna Drucker, David Joselit, Kaplan; incoming members Simon Leung, Joe Lewis, and Steve Nelson; and outgoing members Ursula van Rydingsvard, Judith Wilson, and Martha Wilson, continues to be the journal’s guiding mission statement, and since Fall 2003, it has appeared, only slightly condensed, in the masthead of each issue. Howard Singerman is an Associate Professor of Contemporary Art and Art Theory at the University of Virginia and the Reviews Editor at Art Journal. A contributor to numerous exhibition catalogues for contemporary exhibitions nationally and internationally, his 1999 book, Art Subjects: Making Artists in the American University, has become a landmark in the field. Singerman’s latest book, Art History, After Sherrie Levine, is forthcoming this spring from University of California Press.